The late antebellum period saw the dramatic growth of the United States as Euro-American settlement began to move into new territories west of the Mississippi River. 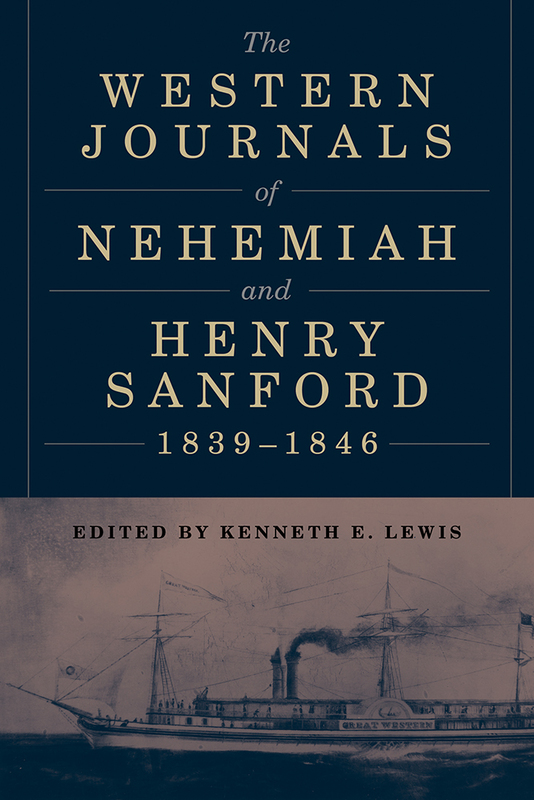 The journals and letters of businessmen Nehemiah and Henry Sanford, written between 1839 and 1846, provide a unique perspective into a time of dramatic expansion in the Great Lakes and beyond. These accounts describe the daily experiences of Nehemiah and his wife Nancy Shelton Sanford as they traveled west from their Connecticut home to examine lands for speculation in regions undergoing colonization, as well as the experiences of their son Henry who later came out to the family’s western property. Beyond an interest in business, the Sanfords’ journals provide a detailed picture of the people they encountered and the settlements and country through which they passed and include descriptions of events, activities, methods of travel and travel accommodations, as well as mining in the upper Mississippi Valley and Michigan’s Upper Peninsula and a buffalo hunt on the Great Plains. Through their travels the Sanfords give us an intimate glimpse of the immigrants, settlers, Native Americans, missionaries, traders, mariners, and soldiers they encountered, and their accounts illuminate the lives and activities of the newcomers and native people who inhabited this fascinating region during a time of dramatic transition. Kenneth E. Lewis is Professor of Anthropology at Michigan State University. As a historical archaeologist, he has investigated material aspects of colonization in geographical contexts and has written extensively on British colonization on the southern Atlantic Seaboard.